Level 2 and Up. All Regions DVD. 60 minutes. 13 barre exercises. 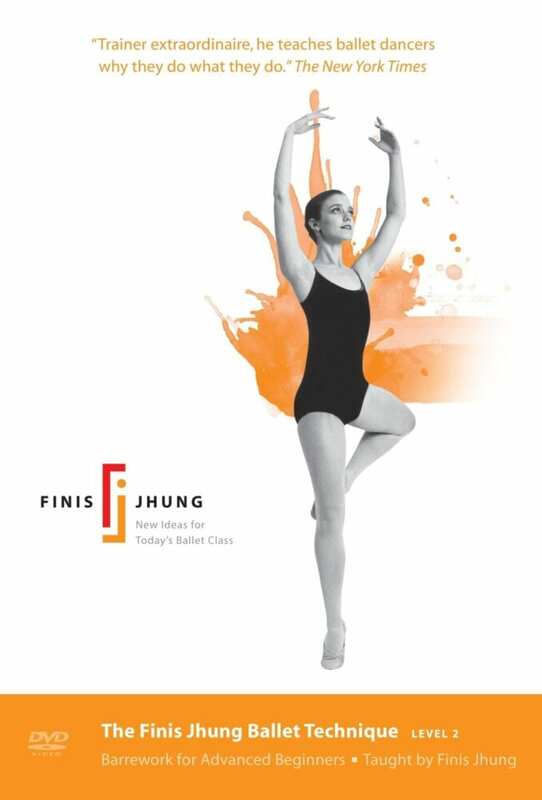 As Finis Jhung often says in class, “you either stand up, or you fall. You either balance, or you don’t. 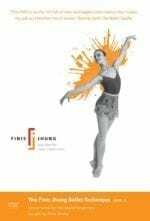 It all comes from the way you do your barrework.” As you do this carefully constructed and minutely detailed barre, Finis frequently asks Kelley Waddell of The American Ballet Theatre (and you) to see if she can continue doing an exercise with her hand off the barre. Sometimes, he asks her to check and see that she’s not sitting back on her heel, because he wants her to feel she’s always ready to move from that position. Kelley works at a portable barre which has been placed in front of the mirror, because Finis thinks it’s very important for you learn to see what he sees, so that you will eventually be able to correct yourself. Throughout each exercise, Finis is right at Kelley’s side, providing directions and corrections. Go beyond the positions and the terminology – learn to move! The CD music is by Scott Killian. “I’d like to give you my perspective on your DVDs, which I regard as the most powerful learning tools available to today’s ballet student. 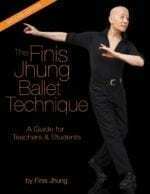 Although I deeply appreciate the teacher’s corrections in my weekly adult ballet class, I feel that I’m able to learn more when I work solo with your DVDs. The problem is that when I’m in class and watch the demonstrations of the barrework and center work, my inability to remember the movements still throws me into a low-key panic. Because of my poor memory, I need movement models to follow, so I still have to find a place at the barre between two more competent dancers. Since I’m following rather than initiating the movements, I end up feeling like a failure as the class moves on to the next exercise and the demonstration once again throws me into a low-key panic. “On your DVDs, each exercise is thoroughly previewed before being demonstrated, which helps address my learning limitations. What I find even better, though, is the rewind/replay option the DVDs provide. If I’m not happy with the quality of my movement, I can take as much time as I need to practice it, and to refine it. On the other hand, since there’s no rewind/replay option in a live class, I rarely attain the satisfaction of a decent level of mastery. In short, your DVDs allow the luxury of self-pacing, which, for me at least, is the key to success.” – Ian Jackson, developer of the Acousticoaching & trade CDs for the ballet-inspired BreathPlay System — the power behind Olympic medals, world records, and world championships.